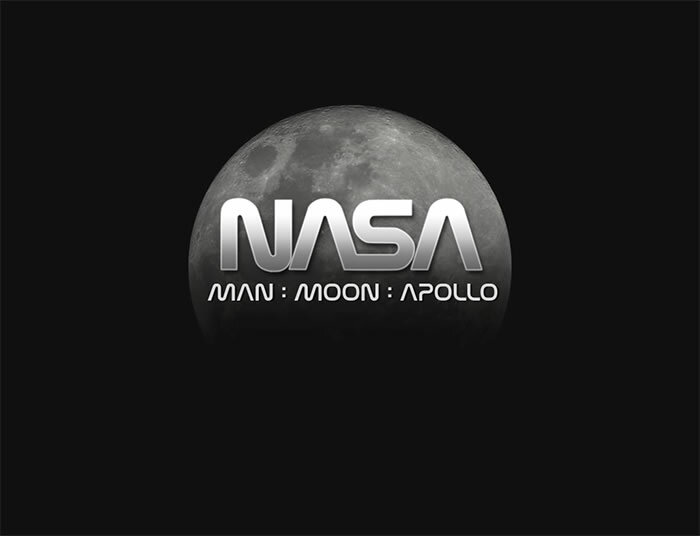 Man:Moon:Apollo is an application that walks the user, step by step, through NASA's 1969 Apollo 11 moon mission timeline. 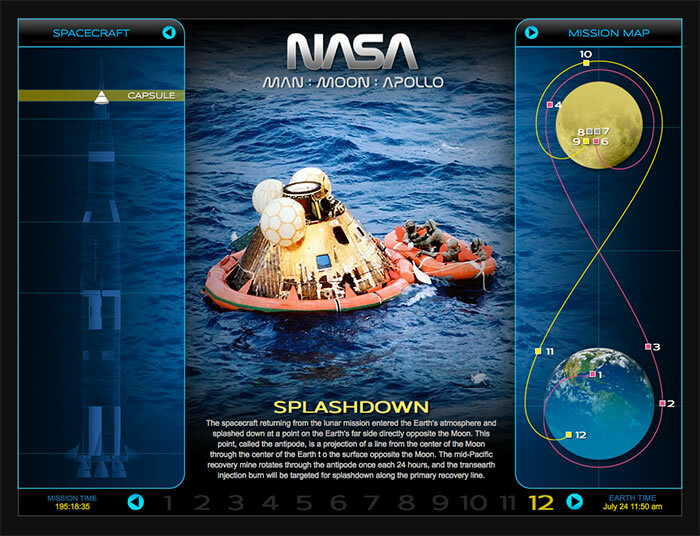 From liftoff to splashdown and the first moon walk in between, each step presents information and visuals describing the state of the mission. The application includes interactivity, motion graphics and dynamic information charts that present an enjoyable educational experience. 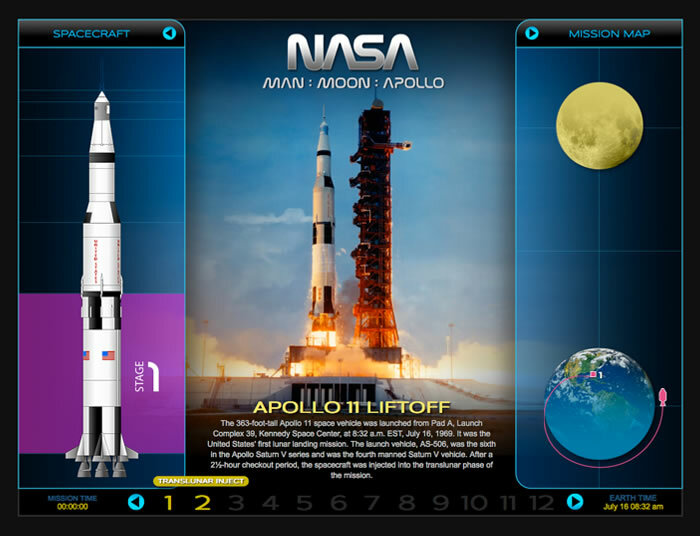 With each step the Flight Path panel on the right is animated into position, indicating where the spacecraft is located in space. 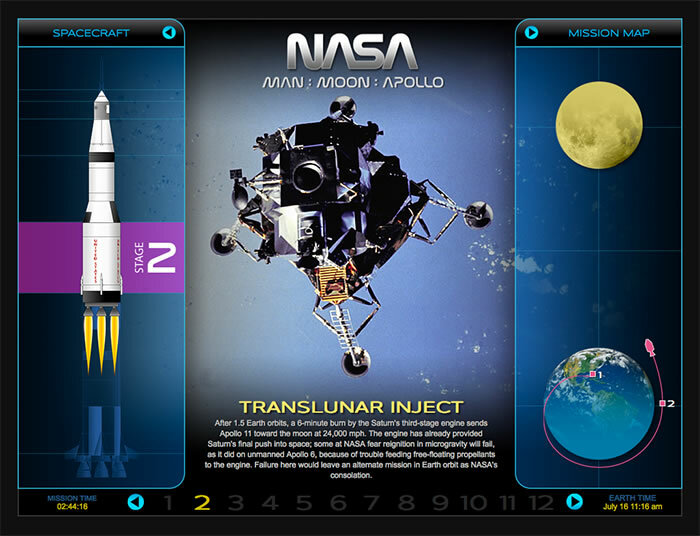 The Spacecraft panel on the left is animated to indicate what part of the spacecraft is currently being used. Current Mission and Earth times are also updated with each step of the mission. 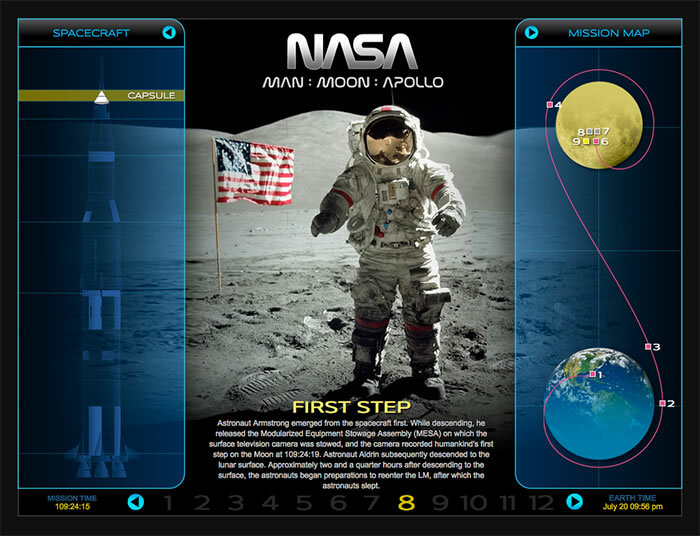 The application displays a NASA image and a paragraph of informational text at each step as well. Man:Moon:Apollo was built at the iPad size of 1024 x 768 using Adobe Edge Animate, Adobe Photoshop, and Adobe Illustrator. This project is part of my ongoing effort to create non-Flash, visually rich, gracefully interactive applications using web standards.